Now available on Apple’s AppStore, completely free: Wakey Wakey Penguin! Show us how high you can go with those scores on Game Center! Luckily, the next penguin-parent is right around the corner. Every penguin is able to wake each other up though, once they bounce into each other, but if you see a penguin-parent slack off, just wake ’em up with another penguin-parent for a huge bonus score! It’s a very enjoyable, simple and addictive game to play! Can you beat your High Score this round? If not, surely you can do better in the next!? Wakey Wakey Penguin is one of those games you can just pick up and play straight away with very simple controls, but be prepared to get addicted! – High Scores which will drive you mad! – Game Center online leaderboard, to get extra competitive! Just make sure you go easy on those baby-penguins when they get in your way, okay? ? 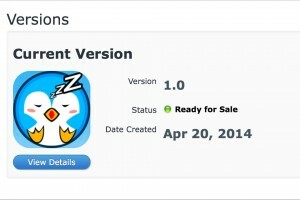 Wakey Wakey Penguin, Submitted To The App Store!